Three yellow cards make up this free, printable inventory chart. 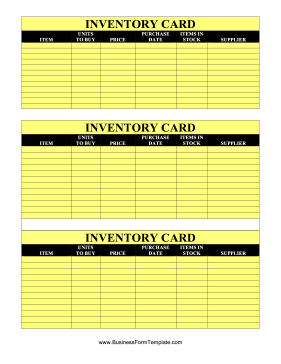 Each card has sections to fill in for item descriptions, units to buy, price, purchase date, items in stock and suppliers. It is great for warehouse and shipping companies.